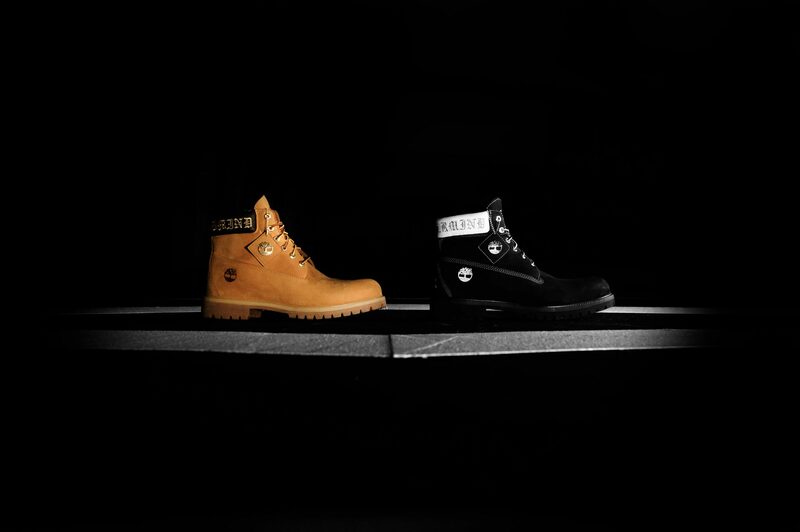 Embellished with gold eyelets and bold embroidered branding at the heel and shoe tongue of the boot, Timberland worked with MASTERMIND WORLD to breathe fresh air into their signature 6-inch premium boots. Featuring a silhouette in an inch shorter, the boots come in two distinct colourways: wheat with outlandish gold detailing, and jet black with contrasting silver and white details. Once again, Mastermind’s quintessential crossbones and skull prove that they are still on top of their game, pairing the Japanese’s attention to detail and insane quality control with Timberland’s ethos of form and function in this unexpected collaboration. Available in selected Timberland and Mastermind World stores 14 September. 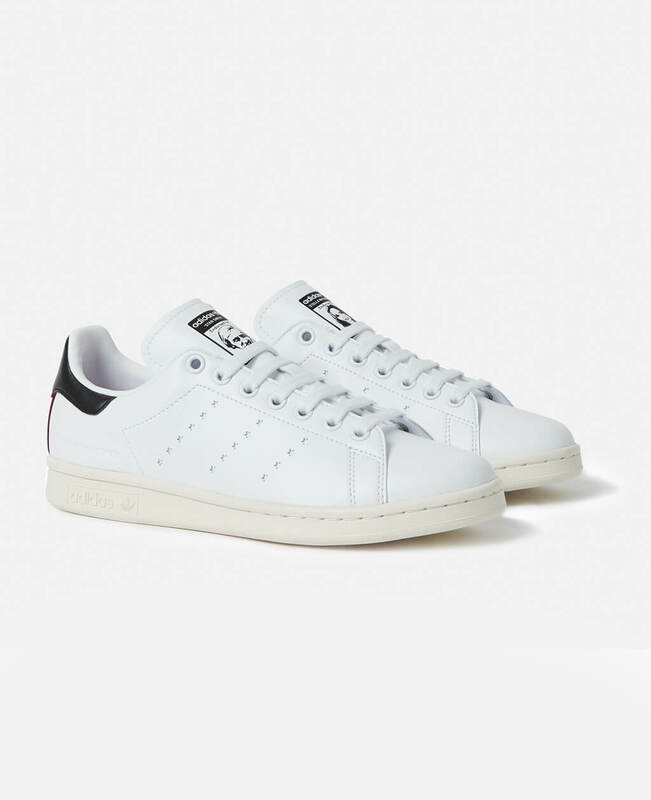 This time, the English fashion house joined hands with Adidas, for their take on the classic Stan Smith. Stella McCartney’s stand on sustainability and cruelty-free fashion made sure that the shoe was “vegetarian”, by removing any animal ingredients or bi-products from the manufacturing process. At the same time, the iconic silhouette saw minute meaningful design changes, sporting Stella’s stars instead of Adidas’ stripes, running down the sides of the shoe. Available in stores 10th September, in celebration of the designer’s birthday. As a tribute to the late Michael Jackson, Giuseppe Zanotti and the Estate of Michael Jackson collaborated on a limited run of 2,000 uniquely-numbered sneakers. While “#1″ will be auctioned, the remaining 1,999 pairs are still lust-worthy with Swarovski diamonds lining fasteners and Jackson’s name engraved on the buckle. 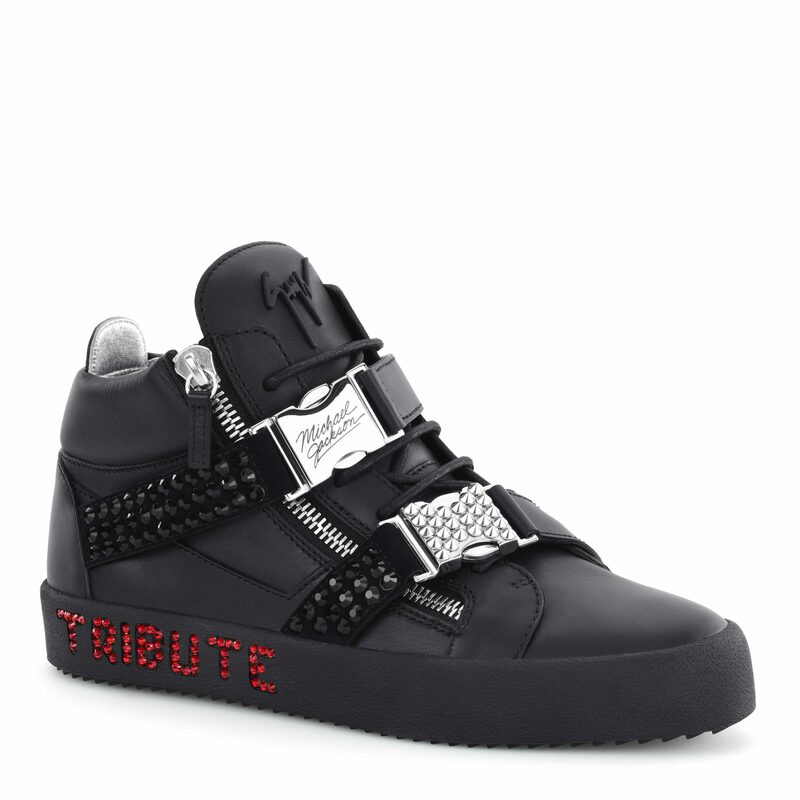 In remembrance of the king of pop, the word “Tribute” shines immaculately in red crystals on the shoe’s right sole, as these mid top sneakers are a testament of Giuseppe Zanotti’s longstanding admiration for the singer, for whom he created several custom-made pieces. The sneakers will see three colourways: black, white and silver, and will be available online and in select Giuseppe Zanotti stores worldwide mid October. Although Errolson Hugh’s four year tenure at NikeLab’s ACG has come to an abrupt end this year, this apparently does not spell the end of his affiliation with the brand. 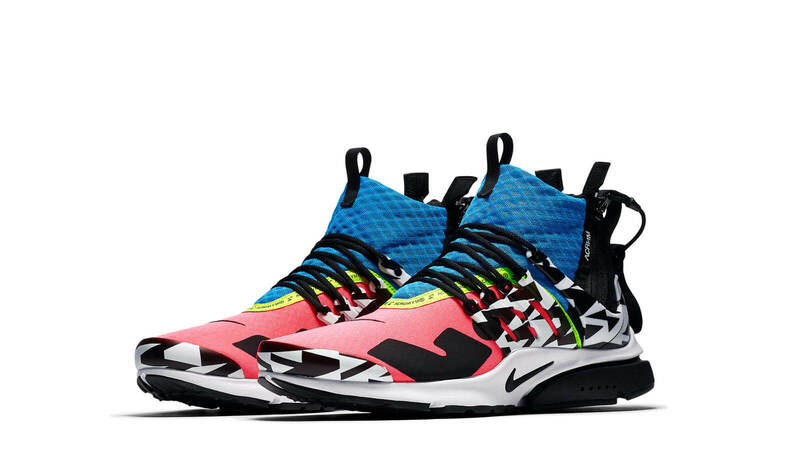 With a strong emphasis on utility and practicality, Errolson’s ACRONYM and Nike came together and birthed the second trio of the Air Presto Mid. Just like its predecessor, the shoe features a zippered collar for easy on and off functionality and a fully meshed upper for breathability. Combine this with Nike’s lightweight Flyknit technology, this would be a shoe at the top of every techwear enthusiast’s wishlist. The sneakers are back with a new look to boot – in three striking colourways: Racer Pink/Blue/White/Black, Cool Grey/Black, Dynamic Yellow/Black. A refreshing camouflage finish is also introduced, which is a bold transition from the previously tonal-coloured, unpatterned release. Available at Dover Street Market Singapore from 7 September and nike.com from 20 September. Going retro seems to be all the rage these days and this release will undoubtedly add fuel to that fire. Ronny Fieg’s KITH, despite being a new player in the game, has managed to score a collaboration with quintessentially-American brand Tommy Hilfiger, and these pair of basketball sneaks appears to be their lovechild. Based on the original Hilfiger Skew, the shoes come in two colourways: navy/white/red and navy/green/red, and are made up of premium suede mixed with leather. This collaboration, which saw the two work on not only the shoes, but a whole capsule collection which speaks waves, as Ronnie projects his modern take on a brand that he grew up idolising. Expect the whole collection to hit stores 8 September. Jerry Lorenzo’s cult following will love this one – Fear of God’s wallet-friendly Essentials line in collaboration with Converse will unveil a reimagined rendition of the vintage-looking Chuck 70 silhouette. Featuring a contrasting shoe tongue and an innovative loop on the heel to thread laces through, the unique shoes will be available in two simple colourways – full white with black detailing and full black with white accents. The collaboration is part of FOG Essentials’ Fall/Winter’18 collection, which includes tees, pullover hoodies, sweats, coats to jackets – all designed to provide the brand’s dedicated following a way to buy into the brand without blowing a hole in their wallets. What better way to introduce the first shoe of the sub-line to the masses than to collaborate with the ubiquitously worn Converse? Rumoured to drop mid September.